Realistic behaviour compared to the real aircraft. Realistic weight and balance. Tested by several pilots for maximum accuracy. 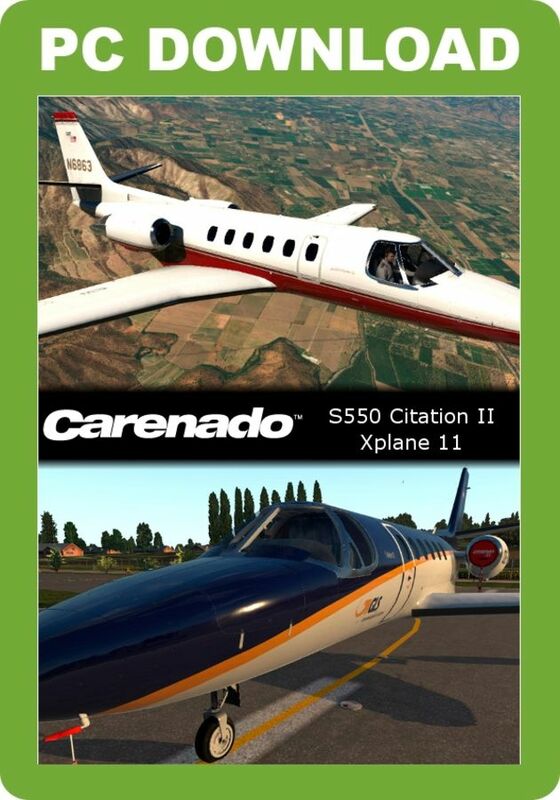 Carenado's VR-compatible S550 Citation II for X-Plane 11 comes in six HD liveries, includes a state-of-the-art configurable FPS-friendly logic system, supports RealityXP's GTN750 unit and takes full advantage of all the latest capabilities of X-Plane 11. These include specially designed engine dynamics, flight physics optimised for XP11 standards, ground handling adapted for XP11 ground physics and Physically Based Rendering materials and textures used throughout.